→How Do I Transition From a Permanent to a Contract Testing Job? A permanent job offers a sense of safety, comfort and a secure future. Nevertheless, we see people constantly taking the plunge into contract jobs, leaving their permanent position behind. So why do people do that? Leaving something so safe and swimming into something perceived as an abyss of the unknown! According to ITContractorsUK , the number of self-employed professionals has increased by around 43% in the UK. Well, as someone who has been working as a contractor for over ten years, I can tell you that it had its rewards. As a contractor, I have been rewarded with higher pay, a network of clients, flexible work hours, and much more challenging work. The decision wasn’t easy, nor was it made in haste, but it was worth it. If this is waht you are looking for, you have come to the right place! Here are few tips that will help you make the transition successfully. Polish your CV as much as possible with insights and advice from people willing to help you. Here is one thing that I learned the hard way: loads of people will be willing to give you free advice, but advice from people who have done it before extensively will help you most. Honestly, the best thing you can do is get an example CV from a couple of established contractors, who have actually got contracts and have had regular work. Easier said than done, I know. But if you can, make that your plan A. Talk to experienced contractors and learn from the success and horror stories they are willing to share. Growing a network of like-minded people at the start is key to preparing for the contracting world. Most importantly, do your research on the current scenario in the market. Sharpen your skills. Get yourself acquainted with all the latest practices, standards, techniques, and technologies. You need to be armed with a polished CV that is short, focused, and highlights your strength. You may even need to customise it for a more targeted approach towards specific clients. Promote your profile on the contract job boards available in the market. You can make use of agencies or professional networks to get this done. You’ll need to follow-up with agencies and clients regularly to secure an interview. Once you have secured the client interview, research what they do, what they need, and all the latest news related to them. Be proactive in the meeting. Take time to understand the issues they are facing and show them how your skills can help tackle these issues successfully. The right pitch will help you come to an agreement on the rates with the client and close the deal swiftly. I won’t recommend quitting the permanent job impulsively without a proper base. Lay a strong foundation and secure your position setting up as a contractor as you plan your exit. Now the client may (or in most cases, will) not wait for you for three long months of the notice period, or even 30 days. Also, you don’t want to put yourself in a bad light in front of your employers. You may need a positive reference from them. Talk to your boss, come up with a plan in which you can wind-down professionally with a phased handover, resulting in a shorter notice period. Handing over notice period without any contracts in hand may be risky, but if you have done your research and preparations correctly, you will have no problems securing contracts after job. Think of it this way, worse comes to the worst, you can go back to where you came from before or get another permy gig. One cheeky technique I used, which minimises risk, but might upset a few agents, is I secured a perm position first, handed in my months notice, then kept looking for contract roles. I actually landed a contract offer in that month window and took that offer instead. I figured worst comes to the worse, I will take the permanent role. You don’t need to go all solo here! You can use an umbrella company or set up a Private Limited company. In fact I started out with an umbrella. Then later on I moved to a company. Using an umbrella company will take away the headache of taxes, payroll, accounts, and VAT returns from you. Another vital benefit that an umbrella company offers is it might free you from IR35 worries as well. Less financial and administration annoyance will allow you to focus more on getting the work done, and rake in more money. Setting up a limited company has its own benefits as well. A limited company will help you gain credibility with new clients, help you claim more expenses (compared to umbrella company). It will also offer limited liability protection in case things don’t work out as planned. The only downside to this is you’ll be loaded with lots of paperwork and administrative responsibilities as well. Choose your company set up based on your circumstances and requirements. Contractors prefer limited company for a long-term plan. If you don’t want to take too many risks in the initial stage, an umbrella company offers a viable short-term solution. Limited Company Vs Umbrella Company. Who Wins? No contractor is perfect. When you start out as a contractor, mistakes are bound to happen. Don’t you agree with me when I say that it's better to be safe than sorry? A professional insurance adviser can help you with a policy tailored to your business needs. Sound business insurance can provide financial protection as well as liability cover, and ensure IR35 compliance. In fact you may find that it is mandatory before you are allowed to start some contracts. Whatever you do, do not procrastinate on if you may or may not fail. Consider the possibility that you have worked as a contractor for three months, and you are out of contract. What do you do next? 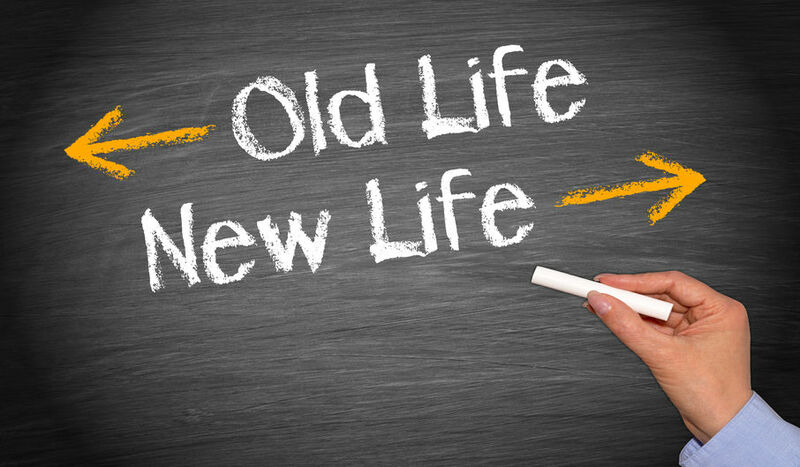 One option that can be considered is getting back to the old permanent job, simple. Reflect on the daily activities performed over the last three months. Assess your approach with measurable KPIs. Ask yourself if the targeted goal is realistic? Ask yourself if a change in approach is required or the change in goal? It’s easy to get discouraged when things don’t work out. The key is not to get frustrated. I often find motivation by studying entrepreneurs who failed spectacularly before becoming successful. I’ll be honest! I was worried about failure in my first contract! I actually got lucky and started with a really nice contract with great people, in fact if it wasn't for the location, I would of stayed a lot longer. The key, for me, to a successful transition from permanent job to a successful contract job was a measured, an organised, and a customer-centric approach. If your question before reading this article was “how do I transition from a permanent job to a contract job?’’, I hope this article answered that question. Just remember you stand a good chance of earning a lot more as a contractor. Working as software testers, we all can benefit knowing the best software testing practises. 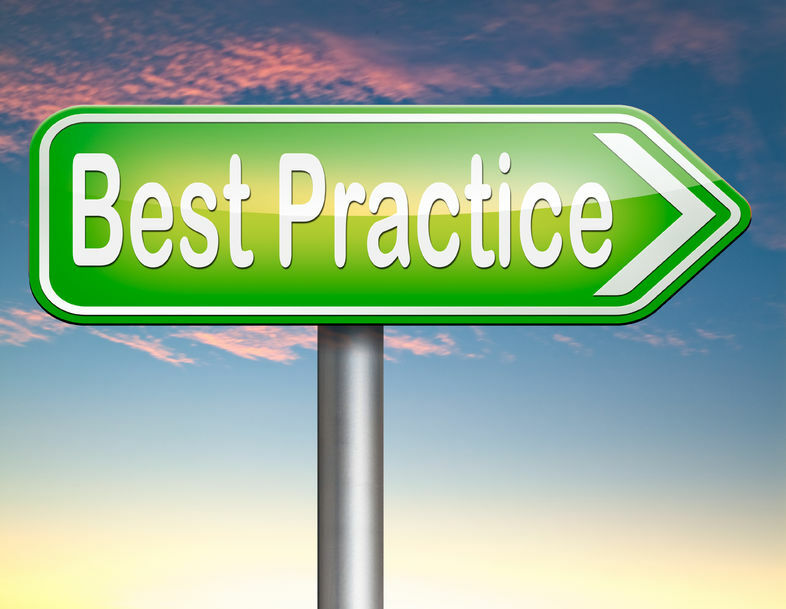 If we ask ourselves what the best practises are, the answer is not very clear, and in some cases subjective. The truth is that there are many and many practises which can be easily used for testing software. Also, it depends on a certain project. In this article we will give you the insight into 5 software testing contracting best practises which will make you be a successful IT contractor in demand. To understand a whole project sounds super simple, but is the most important practise you need to do as the first step of your software testing. You will notice that the most valued workers, permy or contract, are the ones that have the most knowledge. If you are most valued you can set your own day rate and last a lot longer than any other tester, simply because you can become a valuable asset to the business, or as they say, "The Guru". You also have to see the project from different perspectives (e.g. business or technical) to be able to get the right idea what exactly is expected from you. Do you have any question? Ask right away at the beginning. The overall project objective understanding is crucial when you work in a team. Every team member has to their role and what part they take in a project but it is also absolutely necessary that you understand others’ job too. actively refer to this problem and help solve it out a lot faster. When you are a part of bigger testing team, don’t hide behind the walls and proactively communicate with other team members on daily basis. Why is communication within a testing team so crucial? Imagine a situation when there is a defect repaired by someone who works in a different department. You can help triage and resolve an issue faster, by having that in-depth knowledge. planning and timing of tasks is everything. You can make notes on paper, type them down on your laptop and make a time schedule which helps you finishes your project on time. It is important to know what sources and tools you will use. Have a test schedule ready to use. Moreover, you have to identify all risks you might come across. Identifying all possible risks will prevent you from slowing down your workflow and will keep your healthy work pace. know about a project scenario. You barely can skip this step as it is crucial to test scenarios and several reviews. Do you remember I previously mentioned how good when you look at an overall project from different perspectives is? anytime. Unfortunately, software testing does not work this way. This situation can cause few problems and slows down your workflow. workflow and quality pretty high. You know how much effort and energy you put in every project. So, what if we tell you that in your next project you can save some time and energy by using a template or trying to apply the automate script. area. How would you make it easier and quit the manual? What do you have to do to make it work? Sometimes you are lucky enough to find the automation during the execution part and that is pretty sweet, isn’t it? Of course, there is no need to use all of them in one project but they surely will make your life much easier, save you time and energy which you can devote to other activities such as relax, building your portfolio or searching for new clients. Transitioning from a permanent employee t a contractor is challenging, but when you do get there, you need to make sure you become a great contractor so you can have a long career in the game.